The holidays are upon us and most people are attending holiday parties and other holiday events. Many of these events offer alcohol and law enforcement is aware of that fact. Enforcement of traffic laws are often increased during holidays and this season is no exception. Last week alone, for example, there were over 70 people charged with driving while impaired (DWI/DUI) in New Hanover County, NC. Here is an article in the Wilmington Star News about the stepped up enforcement in New Hanover and Brunswick Counties. higher, or while appreciably impaired due to any impairing substance including alcohol. 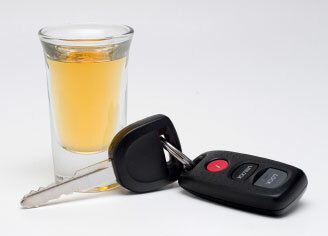 Most people are not able to easily determine whether or not their blood alcohol level is above 0.08. We encourage everyone to use a designated driver, and no one should drive drunk. While we are certainly not advocates of drinking and driving, if you are charged with driving while impaired, Collins Law Firm can help. We have been representing people charged with criminal and traffic charges for over a decade in Pender, New Hanover, and Brunswick Counties. If you are charged with DWI and registered a 0.08 or higher, your NC driving privilege will be revoked for 30 days immediately pursuant to N.C.G.S. § 20-16.5. However, the statute provides the right for a hearing to contest the revocation if the proper request is filed within ten (10) days from the date of offense. Defendants charged with DWI/DUI are notified of this right by the Magistrate in writing in the revocation order. Collins Law Firm is often able to successfully challenge these revocations, and in those cases we are able to have our client’s driving privileges restored immediately without additional costs. If not successful in the civil revocation hearing, or if the ten days has elapsed, we can usually obtain a pretrial limited driving privilege for the last 20 days of the initial 30 day revocation. However, obtaining this privilege does require additional costs, and the driving privileges are limited. Although most people charged with DWI are convicted, in many cases we have been able to avoid convictions altogether for our clients. When we are not able to avoid a conviction, we can certainly help people understand the consequences of being charged and convicted with DWI/DUI, help our clients receive the minimum punishment upon conviction, and reduce the inconvenience and uncertainties involved with being charged. If you or someone you know has been charged with impaired driving, or with any criminal or traffic violation, call us for a consultation at 910-793-9000. 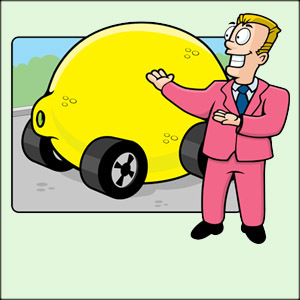 The Act defines serious defect as “any defect or condition or series of defects or conditions which substantially impair the value of the motor vehicle to the consumer.” The defect must be one that is covered by the manufacturer’s warranty and it must have appeared during the warranty period. In order to qualify for a replacement or refund, the defect must have occurred within that first 24 months or 24,000 miles. To repair a single serious defect, the Act states that “a reasonable number of attempts” has been exhausted when the vehicle has been presented to the manufacturer, or its authorized dealer, for repair four (4) or more times without success. The Act states that “a reasonable number of attempts” to repair a series of defects is exhausted when the vehicle has been out of service while waiting for repair for a number of defects for a cumulative total of twenty (20) or more business days during any 12 month period of the warranty, so long as certain notice provisions have been met. Once the proper notice requirements are met, and the manufacturer has failed to correct the defect(s), the Act provides that the purchaser is entitled to a prorated refund based on a deduction for a reasonable allowance for the consumer’s use of the vehicle, or replacement with a comparable vehicle, which would be the same make and model as the defective vehicle. Collins Law Firm has successfully represented clients seeking compensation under North Carolina’s Lemon Law. If you believe you qualify for compensation, and wish to have a consultation, call us at 910-793-9000. 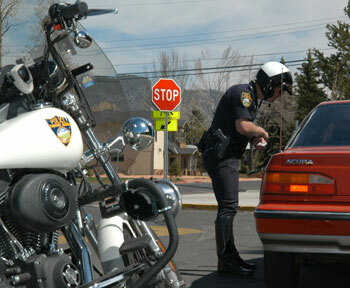 Traffic tickets can be a lot more expensive than the fine and court costs stated on the ticket. For most traffic tickets, if you just pay off the ticket, you will be convicted of the charge, and you will be assessed points both on your driver’s license and on your insurance policy. Insurance points can be very expensive. They cause your insurance premiums to increase for three years, and for most policies, that will add up to thousands of dollars. Details about insurance points and the percentage of premium increases can be found here. In addition to insurance points, convictions for many charges, and convictions for multiple charges will result in the revocation of your driver’s license. The loss of one’s driving privilege entails more costs for most people. Here are some examples of revocations for convictions. In this great recession, many people are being short sighted and think they are saving money by not hiring an experienced attorney to represent them with their traffic charges. The result is that the ticket costs them much more than they would have paid an attorney to handle it for them. Collins Law Firm has handled thousands of traffic tickets for our clients over the past ten plus years, and in most cases we have been able to avoid insurance points altogether. Furthermore, for most simple tickets (stop sign violations, speeding violations, etc. ), our clients do not even need to go to court. We offer free phone consultations for most traffic matters. If you need advice or information about representation for a traffic violation, call us at: 910-793-9000.